Make your bread crusty by drizzling it with olive oil and placing on a pre-heat grill pan for a minute or two. Fry the quail eggs in a little bit of olive oil. 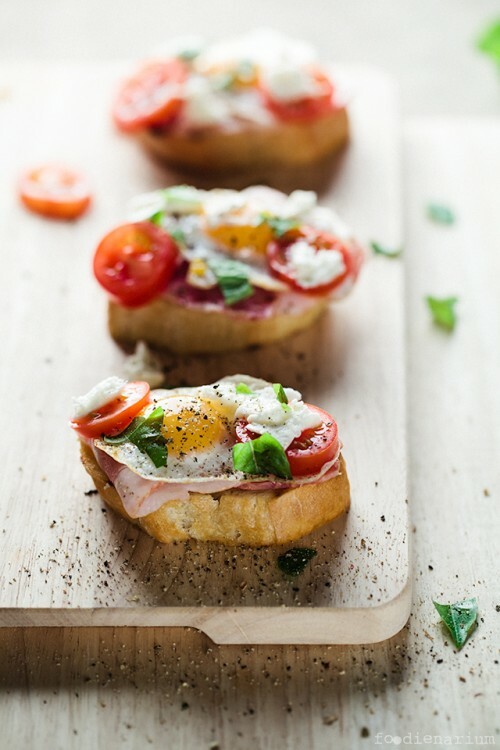 On each slice of bread add a slice of prosciutto or bacon, a quail egg, couple of slices of tomatoes and chilies then sprinkle with some shredded mozzarella cheese. Season with freshly ground pepper and salt. 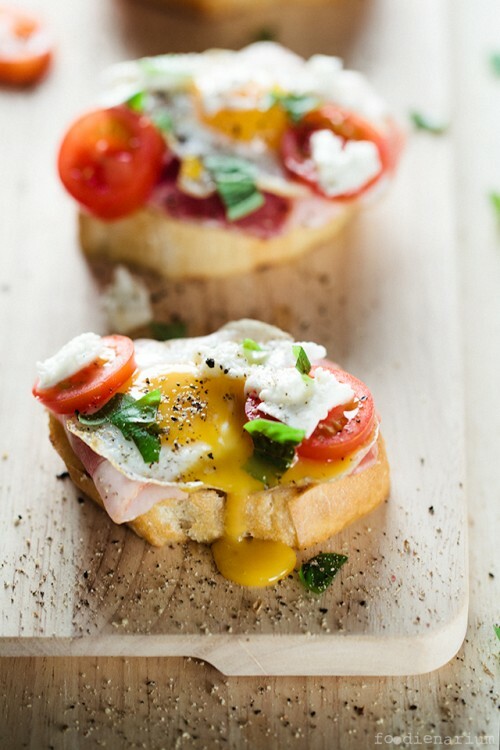 Garnish with chopped fresh basil and enjoy!